On December 2nd, 2010, a 24-year-old Ottawa man named Zhou Fang traveled to Toronto in a rented van, went to his father's local library shortly after 4 PM - and then shot his father in the back with a crossbow. He then smashed in his father's skull with a hammer to make sure he was dead. The case was Toronto's 59th homicide of 2010. 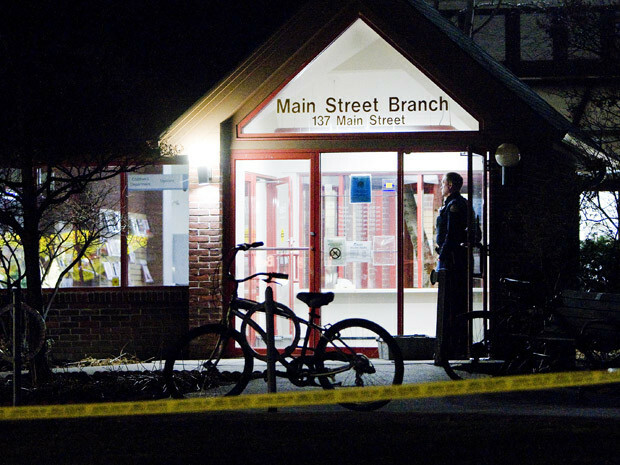 The unusual killing happened at the Main Street Branch library, near Gerrard Street East. He approached his father, sprayed him with a substance believed to be pepper spray - and then shot him in the back with a crossbow in front of numerous witnesses. He then left the building, got into his rental van and drove away slowly. An elderly man followed him and got the van's license plate. The man killed was Si Cheng, 52, of Toronto. An APB was issued for the license plate and within minutes police tracked down the suspect in a residential neighbourhood in Scarborough and was taken to 55 Division. Witnesses of the incident were also brought in for questioning and police searched nearby businesses for security camera footage. The brazen daylight killing in a public location was later revealed to have been the result of over 15 years of parental abuse, wherein Si Cheng had abused both his son and wife. "We've heard of guns, knives," said police spokesman Tony Vella, "but a crossbow is unique." Crossbow killings are pretty rare. Guns and knives are usually the chosen weapons of murderers. Even poison is more common than crossbows. Hammers and blunt objects however are pretty common murder weapons however. A previous crossbow murder happened in 1991 when Patricia Allen was shot dead by her estranged husband with a crossbow on an Ottawa street. Crossbows do not require a license, but hand-crossbows (any crossbow shorter than 500 millimetres in length) are illegal in Canada. Zhou "Peter" Fang was later found guilty of murder. At the sentencing he received 20 years with a chance of parole in 10 years. The Ottawa killer and his mother, Nora, suffered from what senior forensic psychiatrist Hy Bloom described as "one of the worst and most chronic child-and spousal-abuse scenarios he has ever encountered." The abuse was a combination of physical, sexual and psychological and Zhou Fang was suffering from post-traumatic-stress disorder during the library murder and believed that his father was planning to kill him and his mother. Fearing his father would kill him and his mom, Fang drove from Ottawa to Toronto, using his own identification to rent a van the day before the murder. He ambushed his father in the library with the crossbow and pepper spray, shot him in the back with a crossbow bolt, and the savagely crushed his skull with a hammer before calmly and slowly driving away in the rental van. Fang made no effort to claim that he was legally insane. He pleaded guilty to second degree murder and acknowledged that his actions were wrong. Fang will be eligible for parole in December 2020.